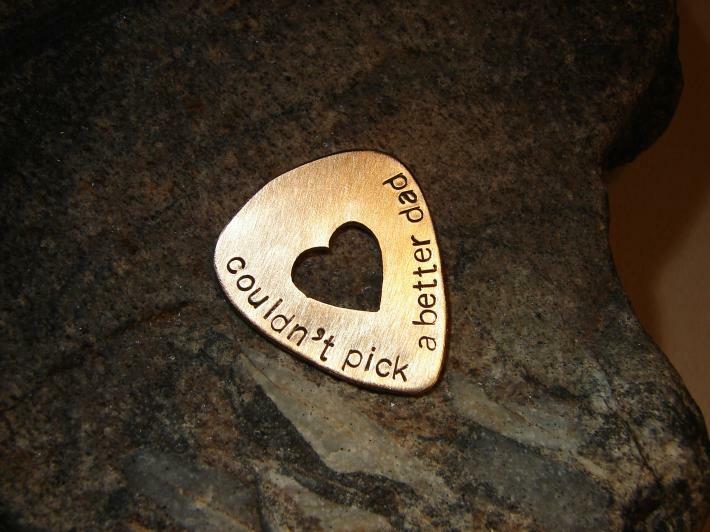 This bronze guitar pick was cut from 20 gauge bronze, stamped one letter with “couldn't pick a better dad” using a hammered and lettering kit, and given a hand sawed heart in the center for a little especial special love for that musical dad. 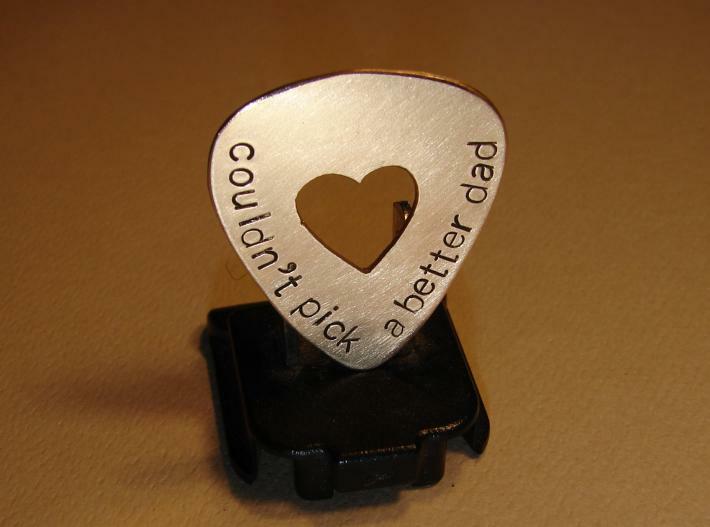 Personalize this pick for dad with any additional stamping, custom message, or exchange the heart for a different cut out by entering your requests in a “contact us” message or Paypal notes. 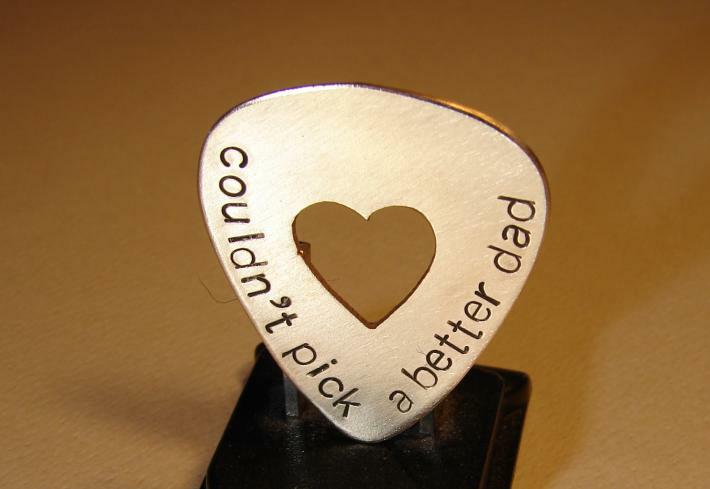 With hand filed edges and polished surfaces for a smooth glide over metal guitar strings, this bronze pick is ready to help dad master that tricky power slide for a little guitar voodoo. 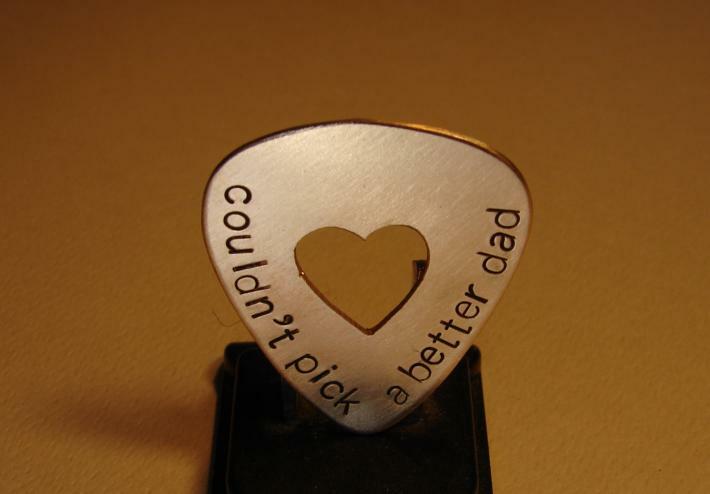 The pick is my own unique design, measuring 1.3 inches long by 1.2 inches wide, but is similar in size to a standard large plastic pick. 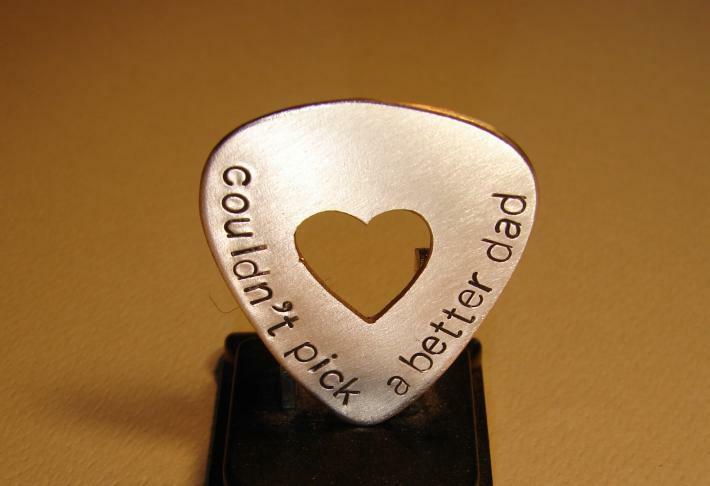 While providing excellent rigidity and aesthetics, bronze and metal guitar picks also offer a brighter tone and longer sustain versus plastic picks.